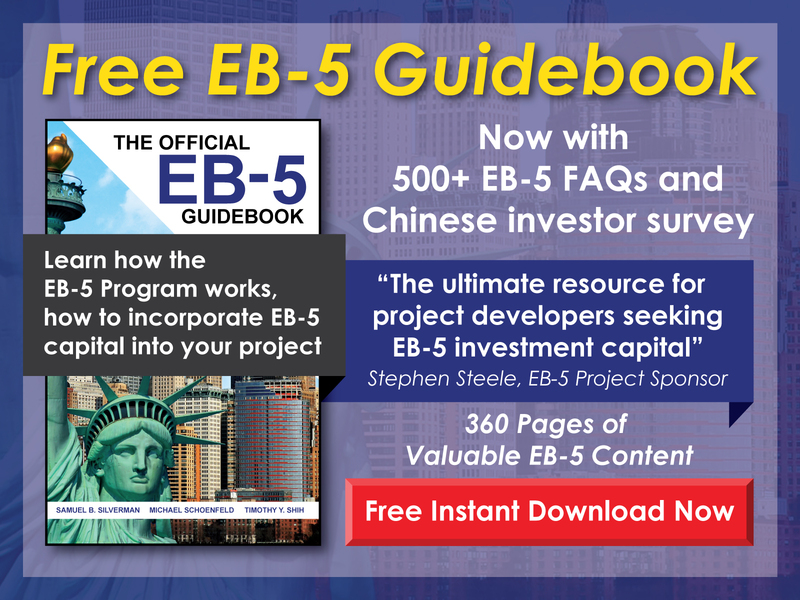 For EB5AN, 2018 was an exciting year marked by milestones, accomplishment, and growth. Our partners collectively spent more than 200 days on the ground in foreign markets—including China, India, Brazil, Colombia, and Vietnam (along with many more)—getting a sense for where EB-5 is headed and how we can keep ahead of upcoming trends. We have now sponsored more than 1,000 investors from more than 30 nations across our regional centers, and we continue to hold a 100% approval rate on all adjudicated USCIS petitions. Additionally, we are proud of the recognition our company and its principals have received. We were recognized by Entrepreneur Magazine in its 2018 Entrepreneur 360 List, and Managing Members Sam Silverman and Mike Schoenfeld were recognized by Forbes Magazine. As we enter 2019, we are excited about the opportunities ahead, and we look forward to offering our clients the highest caliber of EB-5 consulting services, Regional Center sponsorship, and document preparation. Our expanded team of specialists is able to quickly respond to client needs without sacrificing quality, and we look forward to all the new client relationships 2019 will bring. Below, we’ll consider 2018 in light of visa issuance and petition adjudication, program reauthorization, policy updates, and industry trends. We’ve also appended a list of updates to regional centers. This year, the U.S. Department of State provided several key updates regarding visa issuance. Beyond these updates, the discussion surrounding EB-5 visa availability has become a mainstream topic, particularly as it relates to marketing projects and making investment decisions. Currently available data shows a drop in total I-526 Petition filings in 2018, with the total by the end of Q3 standing at just 5,086. The total number by Q3 in 2017 was 10,528, and that fiscal year ended with 12,165 filings. Total adjudications for I-526 Petitions, however, increased: by Q3, 2018, approved and denied petitions totaled 11,083 compared to a total of 9,150 by Q3, 2017. Pending petitions dropped from 24,992 in 2017 to 17,126 by Q3 of 2018. This highlights an increase in processing ability and a decrease in new applications, indicating an anticipated faster timeline for adjudications. I-829 Petitions rose in 2018, totaling 2,816 by Q3 as compared to 2,132 by Q3, 2017. Current data also reflects a rise in total I-829 adjudications. By Q3, 2018, approved and denied petitions totaled 1,968, while in Q3, 2017, adjudicated petitions totaled only 1,292 (though Q4, 2017, saw a surge in I-829 adjudications, more than doubling this total—we won’t know until new data is available how Q4, 2018, compared to the previous year). The failure of Congress to facilitate a smooth appropriations process has resulted in a tumultuous year for the EB-5 Program and has created significant uncertainty for all EB-5 industry stakeholders. We support legislative measures that would stabilize the EB-5 Program, particularly by either eliminating the need for regional center program reauthorization or by providing long-term authorization. Previous proposed legislation has included five-year regional center reauthorization, and the main industry groups are working to advance a bill that also includes a five-year reauthorization period. We support such efforts and hope that the appropriations drama that unfolded in 2018 does not repeat itself in 2019. Proposed regulations from 2017—which would have increased the minimum investment threshold for EB-5 investments, changed how targeted employment areas (TEAs) are certified, and more—were expected to receive a Final Rule by February 2018. The anticipated target date for the rule was then changed to November. To date, no Final Rule has been published. The public generally did not favor the draft rule, and the final details of the proposed regulations, if ever published, remain a mystery. Despite not finalizing the proposed regulation, the Immigrant Investor Program Office (IPO) did issue four updates to the USCIS Policy Manual. This year, IPO hired a new chief, Sarah M. Kendall, held three stakeholder engagements (all in November), and issued four updates to the policy manual (as mentioned in greater detail above). As already mentioned, I-526 processing volume rose significantly and I-829 processing volume seems to have risen as well (depending on Q4 performance). The rise in petition adjudication times is welcomed, and we hope this trend continues into 2019. The EB-5 industry in general is trending toward increased fragmentation. Investor origin is diversifying, and new investors are tending to seek out smaller, more niche regional center offerings. Investors are shifting away from larger regional centers and seem to be gravitating toward more personal opportunities in which relationship factors ultimately drive where investors are placing their capital. Additionally, investors are growing more savvy and are being drawn to projects with reduced administrative fees, fewer intermediaries, and higher returns. Based on our information, preferred equity deals have absorbed a significant share of the market and now represent approximately half of EB-5 regional center project structures—mezzanine debt deals constituting the other half. As we’ve observed these changes, we continue to offer clients a turnkey solution that remains flexible enough to meet fluctuations in the market. We work with our clients to find solutions that best meet their needs and are experienced at sponsoring and structuring both preferred equity and mezzanine debt deals. We see our time spent on the ground in foreign markets as an invaluable investment that has allowed us to stay on top of these trends. 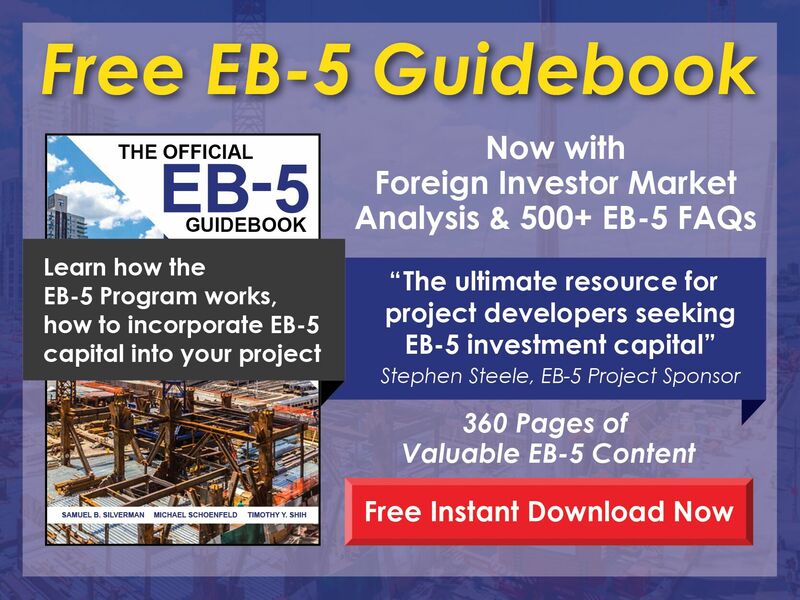 For more information about how EB5AN can help you structure your project for EB-5, compile the necessary documents, affiliate with one of our regional centers, set up your own regional center, and more, please contact us at info@EB5AN.com.